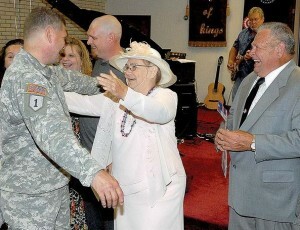 Alex Nelson, a Columbia College graduate who will soon be deployed to Kosovo, paid his parents a surprise visit. Nelson is currently stationed at Fort Leonard Wood, Missouri, and his parents thought he was still there. But he had actually flown to his hometown in North Carolina to surprise and pay tribute to his parents, who were being honored at their church for serving others.